In our Homer Glen dental office, you'll find general dentistry for everyone in the family, from children to adults. With a gentle approach, a listening ear, and clinical excellence, Dr. DeAngelo can bring smiles to the faces you love most. We thoroughly check for signs of gum disease or decay during checkups and can respond with tooth-colored fillings or periodontal therapy when needed. We treat patients with the same care and compassion as we would a member of our own family, and you can rest assured that your needs will always be the priority whenever you come to see us. To schedule your next appointment, contact us today. 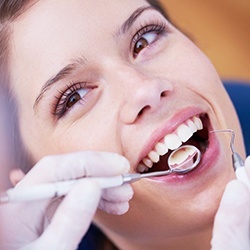 While every dental practice on the planet offers checkups and cleanings, very few of them go to the lengths we do to make sure your smile is completely protected and healthy. 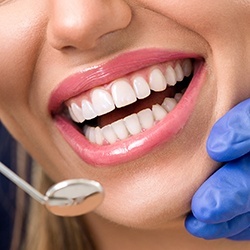 Our skilled hygienists will cleanse your teeth of plaque and tartar from even the hardest to reach places, and Dr. DeAngelo will thoroughly examine your mouth to find and treat any dental problems you might have at their earliest stages, helping you avoid more serious and expensive problems in the future. 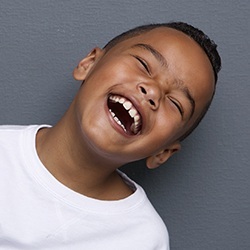 Early-age dental visits are absolutely essential to making sure your child’s teeth stay healthy as they grow and develop, and as a father himself, no one understands this better than Dr. DeAngelo. He’ll take care of your little one as if they were one of his own, and he’ll make sure they, and you, have all the attention and information they need to keep their smile beautiful and strong well into adulthood. Periodontal therapy is a range of treatments specifically meant to manage and prevent gum disease, an infection of the gums and bone that support the teeth. Left untreated, it can often lead to tooth loss and even increase your chances of suffering from diabetes, heart disease, or dementia. We’ll keep an eye on your gums whenever you come to see us, and if we spot any trouble, we’ll have everything you need to quickly take care of it. Bruxism is the scientific term for jaw clenching and teeth grinding, and about 1 in 3 people suffers from it, most often while they are completely asleep! It can severely damage the teeth over time and even strain the sensitive jaw joints. Left untreated, it can cause the teeth to become more sensitive, and brittle, leading them to eventually break. Fortunately, the solution to this problem is quite simple and straightforward. Using a custom-made oral appliance called a nightguard, we can help you sleep peacefully while your teeth stay completely protected. This nightguard will place a comfortable barrier between your teeth in order to prevent them from grinding together. It will be designed to seamlessly fit over your teeth, so after a few nights of wearing it, you’ll likely hardly notice it at all. 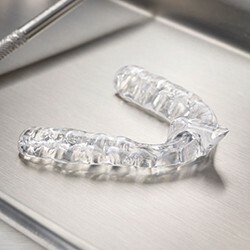 Each nightguard is made of extremely strong and flexible materials as well, assuring it will always be there for you and your smile for years to come. Oral cancer rates are currently on the rise here in the U.S., particularly among healthy individuals who do not engage in traditionally risky behaviors, such as tobacco or excessive alcohol use. This year alone, nearly 50,000 people will be diagnosed with the disease, and many will not live to see the next 5 years because the disease wasn’t caught until it was quite advanced. When detected early, it is extremely treatable and has a survival rate of about 85-90%. This is why the American Cancer Society recommends that everyone should have at least one oral cancer screening per year. Dr. DeAngelo can perform one as part of your standard checkup. During it, he’ll use a Vizi-Lite detection tool that will enable him to see potentially cancerous tissues that would normally be invisible to the naked eye. Should he find anything that causes concern, he can organize a biopsy and inform you on how to take quick and appropriate action. Dental emergencies happen more often than you might think, and like most unpleasant things in life, they only happen at the worst possible times. If your teeth have been injured in an accident or you’ve developed a severe dental infection, you need to seek out dental care as quickly as possible in order to save your smile and prevent things from getting worse. When you need this kind of immediate attention, you can always turn to Dr. DeAngelo and our team. Our practice is fully equipped to handle a wide variety of dental emergencies, including knocked out teeth, broken teeth, damaged dental work, and more. When you call in with an emergency, we’ll do whatever we can to see you as soon as we can, preferably the same day. 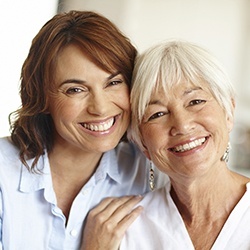 Right when you need dental care the most, you can always rely on us to be there. Your TMJ, or temporomandibular joints, are the small hinges on your lower jaw that allows it to move fluidly whenever you speak, eat, laugh, or yawn. 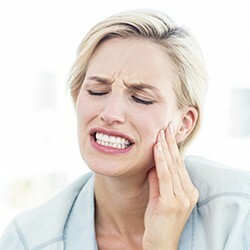 Like other joints in the body, they can sometimes become strained or injured, leading to something called a temporomandibular joint disorder, or TMD. With a TMD, a patient will often experience a stiff, painful jaw, migraine headaches, and unconscious teeth grinding in addition to many other symptoms. Dr. DeAngelo has a vast amount of experience handling TMD and can often help you get the relief you need with easy, non-invasive treatments. 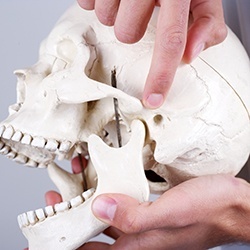 With an occlusal adjustment, he’ll be able to determine how the misalignment of your jaw is affecting your teeth and modify your bite in such a way that will completely correct the issue. Or, he may provide you with an occlusal splint, which is a small, custom-made mouthpiece that will gently adjust your jaw into a more natural position so the muscles can heal and relax. Truthfully, the most important dental care you receive actually happens at home with routine brushing and flossing, meaning the products you use are extremely important to preserving both your smile’s appearance and health. At our practice, we’re more than happy to offer recommendations as to which ones are best for you and your family, and we can even provide you with some of the most popular brands such as Crest and Sensodyne.